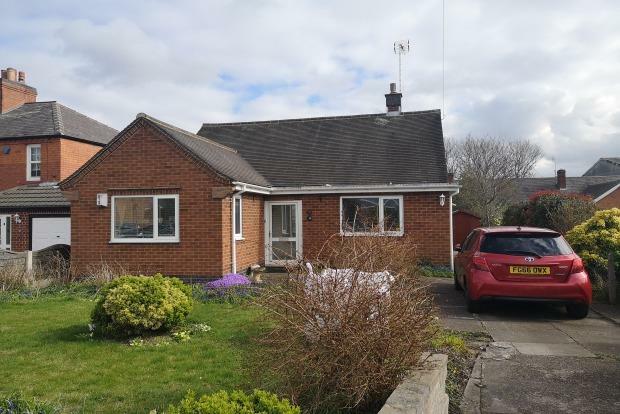 2 Bedroom Bungalow To Rent in Derby for £725 per Calendar Month. SUMMARY: The accommodation briefly comprises; Front Porch, Entrance Hallway, Two Large Double Bedrooms, Family Bathroom, Separate Toilet, Large Living Space, Contemporary Kitchen, Large Garden to Front & Rear and Driveway Parking. LIVING ROOM: A lovely bright living room neutrally decorated with carpet flooring with three windows flooding the room with natural light. KITCHEN: A modern white gloss fitted Kitchen with integrated oven and ample storage units. Neutrally decorated with vinyl flooring. BEDROOM 1: A great sized double bedroom with carpet flooring, neutrally decorated with large window. BEDROOM 2: A second double bedroom with carpet flooring and neutrally decotated. BATHROOM and WC: A modern part tiled bathroom with a double shower cubicle and sink basin. Separate WC next door. EXTERNAL: large driveway large enough for 2 cars. Front well maintained garden and large garden to the rear with shed. This bungalow is in a highly sought after area and is directly on the bus route so is very ideal for public transport.